Kohar: All Time Armenian Favorites is a 3-DVD compilation of concerts performed in Istanbul and Moscow. The Kohar Symphony Orchestra and Choir of Gyumri interprets some of the most popular songs in the Armenian musical tradition in innovative and revised arrangements. Songs include Giligia, Sari Hovim Mernem, Hingalla, Choutag and many more. 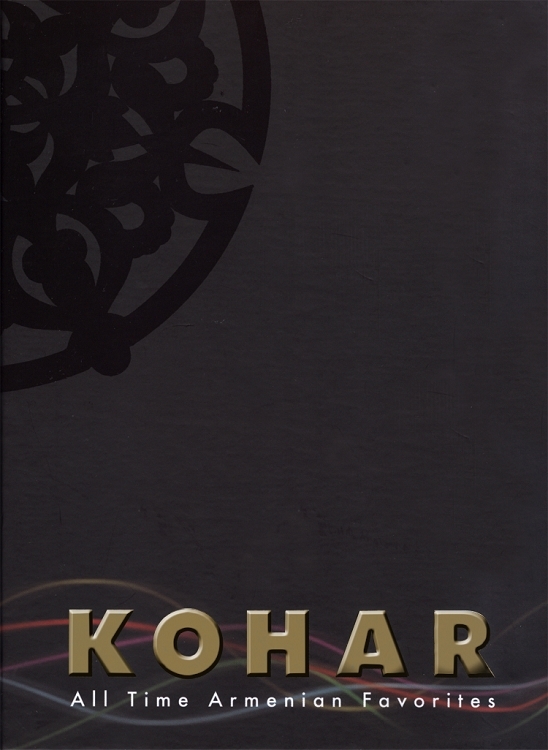 Kohar was founded in 1997 as an independent musical and cultural institution by Lebanese-Armenian patron of the arts Harout Khatchadourian. Kohar consists of over 140 musicians, 12 solo singers and an 11 member dance ensemble. The DVDs feature visually and aurally stunning performances. They contain all 46 of Kohar's songs and dances. The stirring performances will enliven any music lover. A particularly attractive element of the DVDs are the subtitled lyrics in Armenian as well as in transliteration on the screen and in the booklet provided. Over the course of its almost 10-year existence, Kohar has become a cornerstone of Armenian music and dance, doing its part in preserving Armenian heritage for future generations.